The day after Christmas, we started a couple of major projects in our house – all in an effort to be more organized and have our house in better shape for the new year. The first project we undertook was to get our kitchen ready to paint and to renovate the cabinets. Although we’re still in the middle of the project, the first step we took – to get the cabinets organized – has made a huge difference in how our kitchen both feels and functions. Note: Amazon links are used within this post to point you towards some products I love. I am a person that has a hard time saying goodbye to items, even if I do not use them. However, getting rid of the unused items is super important. You cannot be organized when the cabinets are full of junk- so to speak. By removing all the old “items” you are making room to keep things organized. We’ve gathered a mishmash collection of cups, mugs, plates, silverware, etc. over the years and although it feels nice to have “plenty,” we’ve found that the mismatched dishes don’t stack well and take up more space than if we had the same number of the same dish. 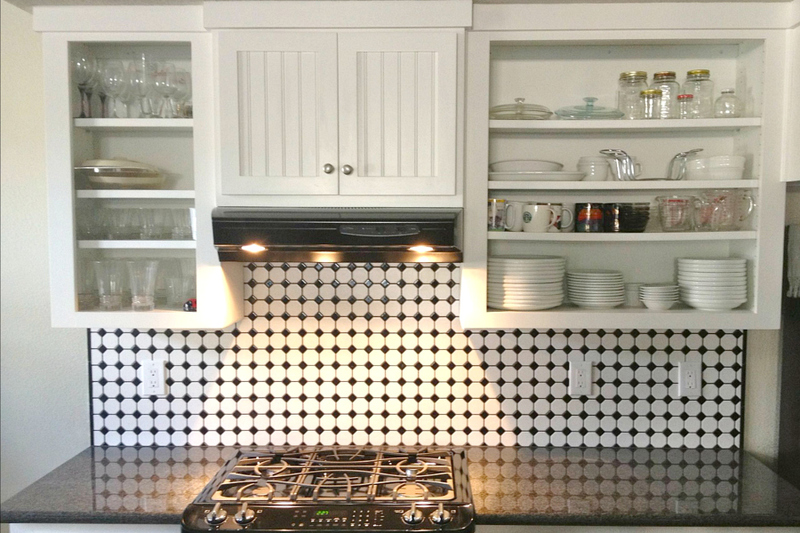 Have you seen all the awesome ways to organize your kitchen cabinets on Pinterest? Using hooks (I love this system! ), pot racks (we’ve got something like this), baskets (functional and gorgeous! ), shelves, spice racks and anything else you can get your hands on will help you stay organized in the kitchen. One of my favorite organizational tools in the kitchen is a Lazy Susan. I have found that it is easier to keep inventory low in my kitchen cabinet. When you don’t have a ton in your cabinets, it’s much easier to organize. This is especially true if you have a smaller kitchen – less is more! I get frustrated and annoyed when I have too much stuff in my cabinets and I have found that this tip really works. I keep at least one dish for each person in the family. For example, one plate per person…plus a few extra for guests. I mean, I don’t need 5 sets of unused dishes in my cabinets. When I look in my kitchen, I try to embrace the unique shelves and space I have. When organizing, I try to find those unique spaces in which I can store things. If you look close enough, you may just find these unique spaces in your kitchen. The last step seems like the most reasonable step, but it makes the most sense. Once you get your kitchen organized, make sure to take the time to keep it this way. I set aside time each week to spend time organizing my kitchen. 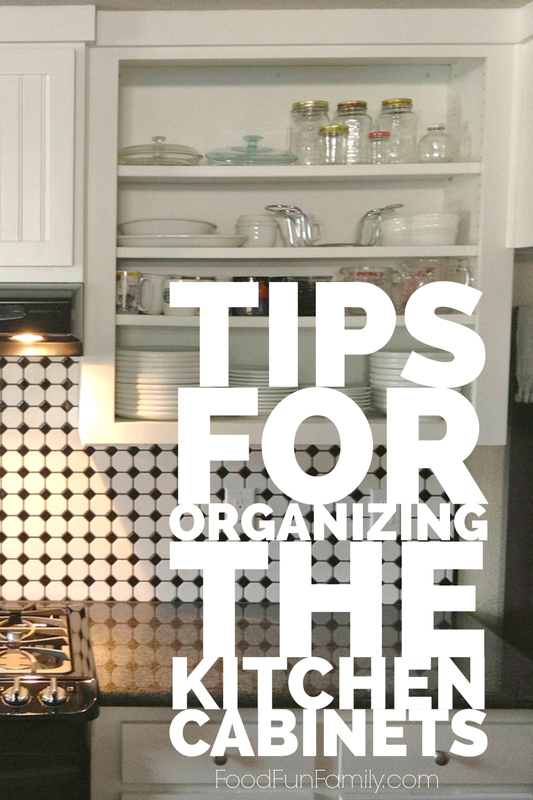 It only takes about 15-30 minutes to get things organized correctly in your kitchen. What tips do you have for organizing the kitchen cabinets? I am in the middle of doing this myself!! My kitchen is a hot mess! Good luck! Our whole house is a “work in progress.” It WILL be good…eventually!